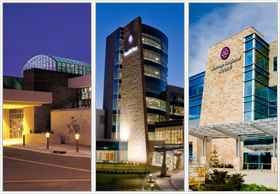 Through the generosity of our donors, Norman Regional Health Foundation enhances excellent healthcare. The Foundation supports the life-saving work of Norman Regional Health System by advancing patient programs, awarding educational scholarships to students in a health-system related field and supporting community initiatives. Your special gifts are an investment in the health and vitality of the communities we serve. 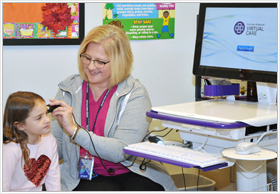 To enhance this health partnership, Norman Regional Health Foundation provided funding for three telemedicine tablets to support the Norman Regional Kids Virtual Care Pilot Program established during the 2018-19 academic year. Click for more.